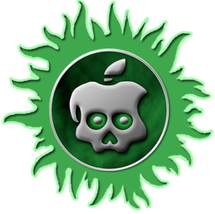 The road to the untethered jailbreak for the iPhone 4S and iPad 2 was anything but smooth, from the beginning of November when Pod2g announced he had found an iOS 5 bug, the journey has been filled with ups and downs and littered with obstacles to overcome. With that being said, the struggle to crack the A5 devices seems to have galvanized the best talent within the jailbreak community, with developers and security researchers coming together to produce an untethered jailbreak iOS 5.0 and 5.0.1. When the earlier portion of the jailbreak was released for older, A4 devices, we were treated to an update to the existing Redsn0w and PwnageTool tools which got the job done. Due to the way the new jailbreak has to be handled and implemented, we have been treated to a new tool, put together by the Chronic Dev Team and called Absinthe. To look at, and use Absinthe, you would have no idea of the hard work that has gone into this A5 untether, as well as all of the obstacles that needed to be come. From a user experience point of view, the Absinthe tool is simplicity itself offering a single click to perform the jailbreak process. Obviously, behind the scenes there is a lot more going on, and this happens to be one of the most complex jailbreaks to date which takes advantage and the restore and install features of iTunes. We have also seen the release of some staggering statistics, with Joshua Hill of GreenPois0n fame letting us in on the fact that the Mac version of Absinthe was downloaded an amazing one million times in the first 24 hours of launch. That number does not include any other Absinthe version, and doesn’t even include the number of individuals who may have opted to use the command line interface tool which offers a command prompt jailbreak. Cydia founder Saurik chipped in with some of his own statistics yesterday, making note that his servers have seen the creation of over 494,000 new Cydia accounts during this recent jailbreak spell which puts to bed rumors and hearsay that jailbreaking is becoming a thing of the past. The development teams involved are always keen to offer their tools to as many platforms as possible, bringing jailbreaking to pretty much anyone who has some form of computer. The Mac and Windows version of Absinthe have already been released to great success, as well have the Mac and Windows version of the iPhone Dev Team command line interface tool. Today is the turn of Linux users to received the Absinthe package. Chronic Dev have successfully packaged up the latest version of Absinthe making it now available for Linux users to download and provide their A5 devices with some liberation. I would be very intrigued to see the true usage and download statistics across all versions of this new jailbreaking tool.